ISIC's secondary attack deploys his Energy Aegis to block incoming damage. 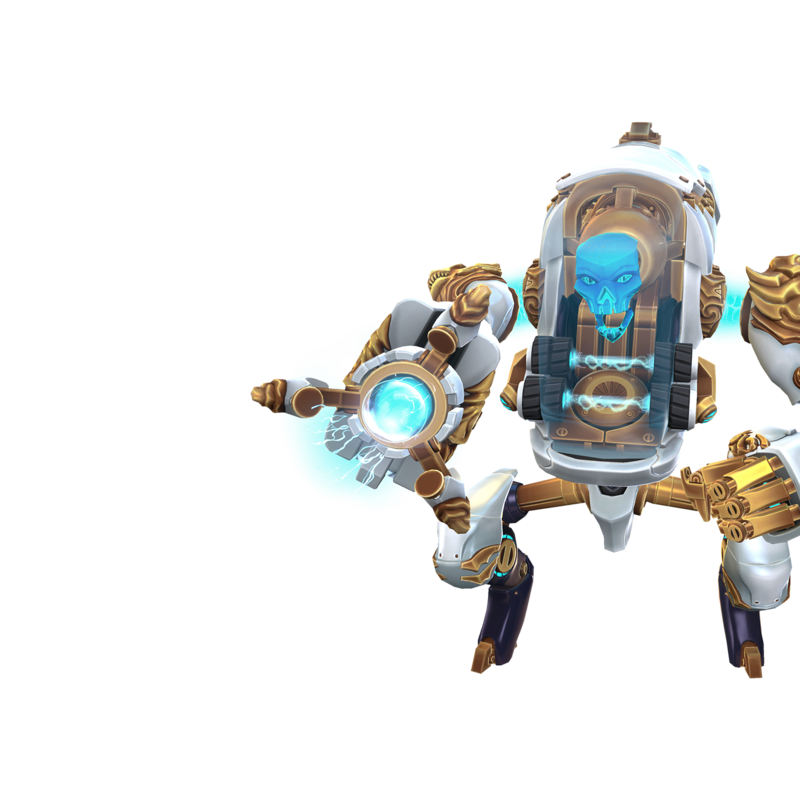 Raise protective wards that orbit ISIC for a short time, each blocking damage from enemy fire. Overcharged: Each ward blocks more damage. 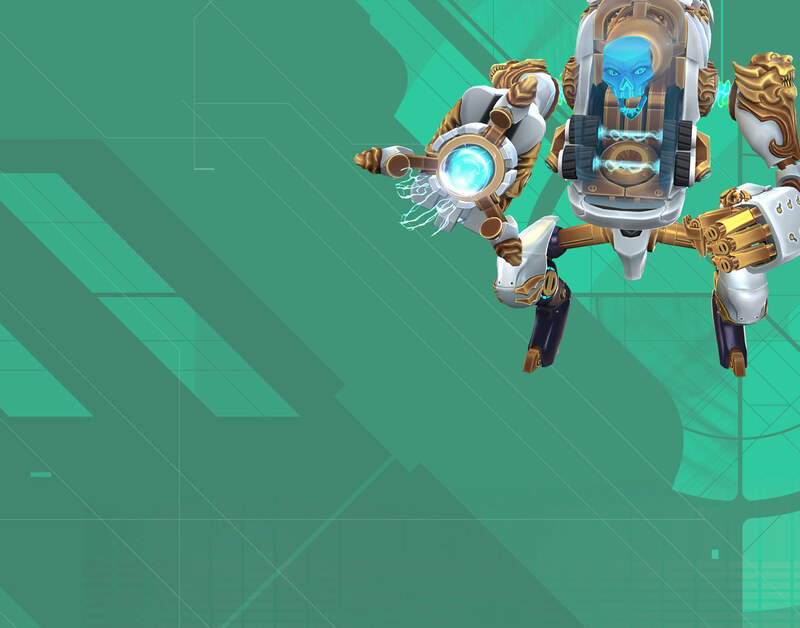 ISIC charges to a target location while engulfed in plasma, dealing damage to enemies along the way. Overcharged: Deal more damage to hit enemies. Activating a skill while ISIC's Charge Cannon is fully charged empowers that skill with additional Overcharged effects, and consumers the charge. While Rotating Wards is active, each ward reduces ISIC’s shield charge delay. Shields regenerate faster while ISIC’s Charge Cannon is Overcharged. Increases Rotating Wards block strength. Increases the amount of damage ISIC's Energy Aegis can block. Increases the maximum lifetime of Rotating Wards. Increases Plasma Dash speed and maximum range. Activating Omega Strike deploys Energy Aegis to block inbound damage from the front. Plasma Dash deals bonus damage to shields when Overcharged. Concentrates Rotating Wards into charges that damage enemies on contact instead of blocking inbound damage. Each enemy hit by Plasma Dash increases the damage dealt to subsequent enemies. Additional damage is reset with each use of the skill. Increases movement speed while Overcharged. Reduces Plasma Dash cooldown time. Decreases the time required to charge up ISIC’s Charge Cannon. When Rotating Wards expires, the skill’s cooldown is reduced slightly for each ward still active. Increases size of area damaged by Plasma Dash when Overcharged. While Omega Strike is active, hitting an enemy directly with a Cannon Shot launches a barrage of missiles.